It is difficult to choose a voice category for the versatile Swiss singer Ursula Ferri. Her voice seems to have no limits as far as volume and rangeare concerned (APN Portugal 23.3.95), it reaches from the low contralto sound to high soprano and possesses amazing agility. This makes her feel at home in an extensive repertoire which includes the virtuous coloratura-roles by Rossini and Händel as well as the dramatic roles by Verdi and Wagner. She took her first musical steps at the age of four, and at the age of twelve it was clear to her that she would become an opera singer. She gave her first concerts as a soprano two years later and, while studying the Cello as a second instrument, pursued her vocal studies in Winterthur and Hamburg, spending a final year in Kiev. 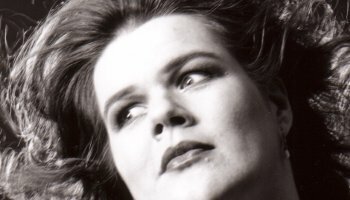 In 1991, working with voice trainer Elisabeth Züblin-Timoshenko, she changed to the mezzo ‘fach’, and from 1995 she specialized for several years in Bel Canto under the master supervision of Maestro Nicolas Giusti. In 1999 she started to work on more dramatic roles with Bill Schuman in New York. More recently, after a visit to voice specialist Dr. Fussi in Ravenna, it became clear that her vocal cords are those of a real contralto and she now works from time to time with Maestr Sherman Lowe in Venice voice technique. Beside opera she performs with great passion in recitals and concerts: although she interpretes her stage roles with great fervour, she enjoys the change of concentrating entirely on the music. In addition to her mother tongue German, she speaks Italian, French, English and Russian fluently; which gives her access to great variety of opera roles and songs. From 1999 she spent two years as a member of the ensemble at the Zurich Opera House. 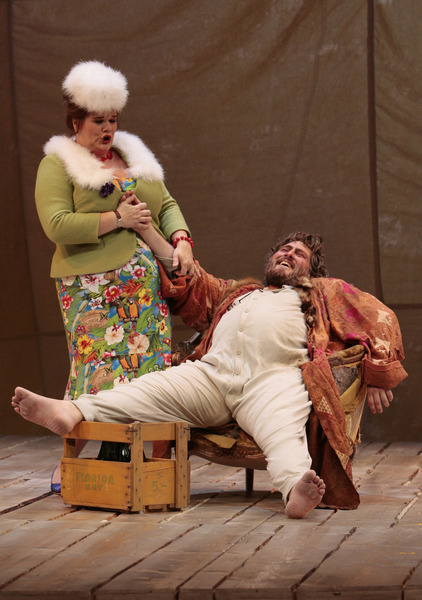 There she made successful debuts as Erda in Bob Wilson‘s Ring and as Mistress Quickly in Falstaff (with colleagues like Juan Pons, Ruggiero Raimondi, José van Dam and Leo Nucci) under the baton of Maestro Nello Santi. She has sung with such renowned conducters as Marcello Viotti, Franz Welser-Möst, Christoph von Dohnany, Wladimir Fedosseyev, Gennady Roshdestvensky , Gianandrea Noseda and Riccardo Chailly. With Chailly she has performed on numerous occasions, including Mahler’s Third symphony in Milan and Verdi’s Requiem at the Spoleto festival and in Milan. Important concerts in the past have also been the “Stabat Mater“ by Rossini (with Jonas Kaufmann) at Stuttgart, Verdi’s Requiem at La Fenice with Marcello Viotti, Mahler’s “Lieder eines fahrenden Gesellen“ with the Israel Symphony Orchestra, Berio’s “Folksongs“ with the Zurich Opera Nova Orchestra in Zurich and at the Ludwigsburger Schloss-Festspiele and also Wagners Wesendonk-Lieder at Tonhalle Zurich. Important roles during the last years have been, Basmanov in Cajkovsky’s Opritshnik in Cagliari, Italy, Federica in Luisa Miller at La Fenice under the baton of Maurizio Benini, at the New York City Opera Frugola and Zia Principessa in Puccini‘s Trittico, Andromaca in Ermione by Rossini, Gaea in Daphne by Richard Strauss and Mistress Quickly in Falstaff, which has become her signature role. 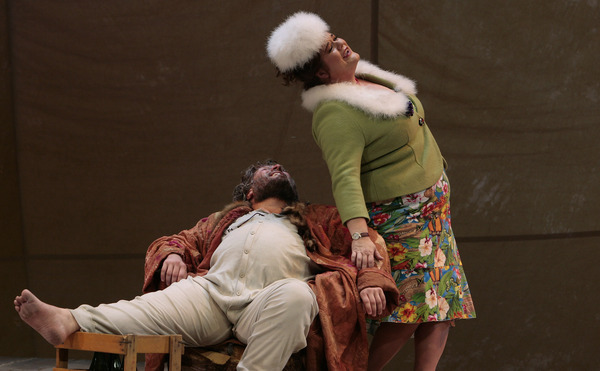 She has also performed this role at the Deutsche Oper Berlin, the Theatre National de Montpellier, the Stadttheater Bern and the Teatro Regio Torino. For her interpretation of Quickly in the production by Eike Gramss and Christoph Wagenknecht in Bern she was, together with Krassimira Stoyanova, chosen as Best female singer of the year 2007 by Tom Sutcliff from Opera Now. At the Teatro Regio Torino she also sung Arsace in Semiramide and the Mother in The Consul by Giancarlo Menotti, who was very impressed with the beauty of her voice.